Some of the best Americana albums have been written by musicians from the other side of the Atlantic. Although fans of the genre might scoff at any suggestion that the style of music has waned in popularity, it's hard to deny that it's English bands like Mumford and Sons who were instrumental in sparking the resurgence of American roots music here and abroad. That said, it shouldn't be a surprise that First Aid Kit are part of that resurgence, and their reimagination of American folk and roots music has mesmerized music fans since their classic country inspired single, "Emmylou." Following their major label debut with "Stay Gold," their second album to go platinum in their home country of Sweden, the Soderberg sisters wrote the majority of their new album "Ruins" while in Southern California, exploring the coast, and retreating to Joshua Tree. "Ruins" fits perfectly into the sonic continuum of First Aid Kits previous albums that borrow from classic country and Americana to craft folk music that sounds timeless. All 10 songs on "Ruins" stay true to the formula that Johanna and Klara first charmed listeners with - lush vocal harmonies and infectious melodies. With some added instrumentation from Peter Buck and Wilco's Glen Kotche, the album is some their finest work yet. From the perfect tempo and pace on "It's a Shame," to the bittersweet title track about the ruins of a broken relationship, the Soderbergs seem to have perfected their sound. 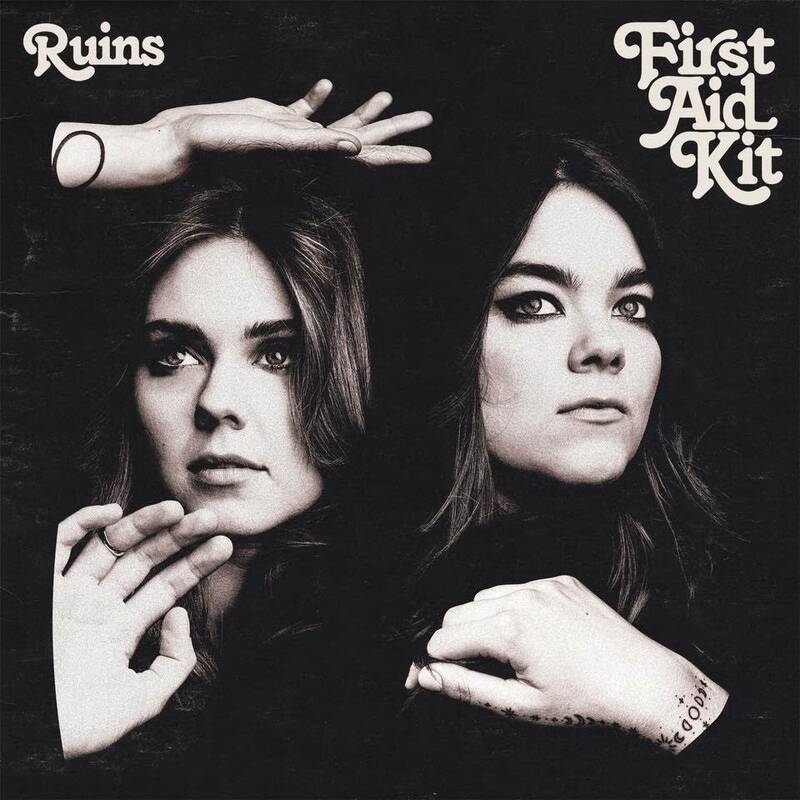 First Aid Kit's "Ruins" is out now on Columbia Records. First Aid Kit perform in The Current studio In town to play a sold-out show at the Varsity Theater in Minneapolis, sisters Klara and Johanna Soderberg -- better known as First Aid Kit -- stopped in to The Current's studio to chat with Bill DeVille and to play some brand-new songs and a longstanding favorite. Album Review: First Aid Kit, 'Stay Gold' Klara and Johanna S&#246;derberg of First Aid Kit augment their magical sibling harmonies with a fuller sound and richer arrangements -- which may not have been possible without their connection to Omaha's Conor Oberst and Mike Mogis. First Aid Kit performs in The Current studio Swedish folk duo First Aid Kit have been playing, recording and releasing music together since they were both in their teens. Their sophomore release, "The Lion's Roar," features guest appearances from Joe Pernice and Conor Oberst and was released in January.